Mister Rogers arrives with two funnels which he plays with at the sand table while remembering a time he visited a nursery school where children were playing with sand. With one funnel fitting inside the other, Mister Rogers is reminded of the model Trolley which the real Trolley takes to the Neighborhood of Make-Believe. In the Neighborhood of Make-Believe, King Friday has received a letter from Princess Margaret Witch predicting that the Trolley will be carrying a smaller version of itself. As the Trolley passes, they see that her prediction was correct. The letter goes on to mention that Princess Margaret has left the crystal ball somewhere in the Neighborhood for everyone to use. With everyone looking high and low, Lady Elaine finds the crystal ball which everyone plans to use to remember "all of the things that [they've] done in the Neighborhood of Make-Believe." 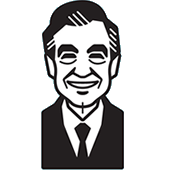 Back at the house, Mister Rogers talks about remembering and looking forward before he sings You're Growing. He continues by discussing the many possibilities that lie ahead of young viewers: "When you're a child, you don't really know just what you'll be when you're all grown up. But you can pretend a lot of different things and finally decide for yourself." At Brockett's Bakery, Mister Rogers watches as Johnny Costa's mother makes bread. As the Trolley heads to the Neighborhood of Make-Believe, a sharp eye can spot a copy of the Mister Rogers Songbook on the shelf next to the tunnel opening. In the few seconds of silence as Lady Aberlin leaves Corney's factory, a quiet off-camera cough can barely be heard.